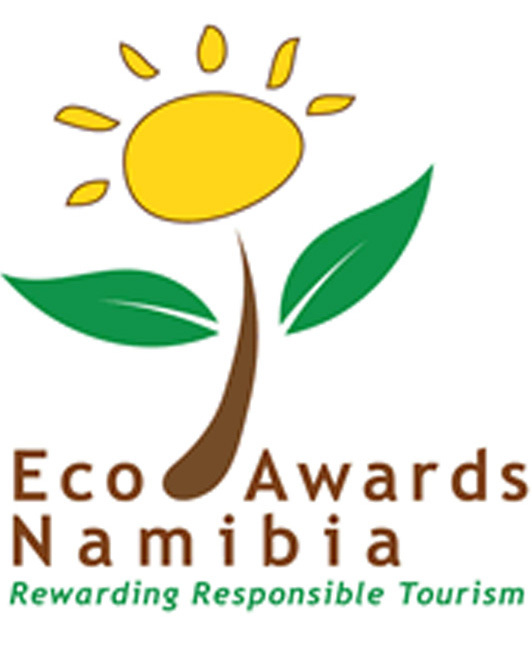 Eco Awards Namibia rewards responsible tourism. They award ratings to developments that meet the needs of the present without compromising the ability of future generations to meet their needs and aspirations. Receiving an Eco Award is a mark of distinction for accommodation establishments that are planned and managed according to eco-friendly principles. The Eco Awards programme promotes the selective and careful use of resources, reducing waste materials, recycling and reusing. In the process an establishment can improve its profitability, often with very little additional expenditure. The programme is based on similar schemes in several other countries and the criteria that those schemes use were amended to suit the Namibian environment. Awarding of an Eco Awards desert flower certificate is a sign that the establishment keeps to a standard of environmental care and implements sustainable practices for the future of the immediate environment, the company and the people. Wolwedans managed to score 92% in their assessment, which means that they received a Five Flower rating (on a scale of one to five) – the highest possible rating. 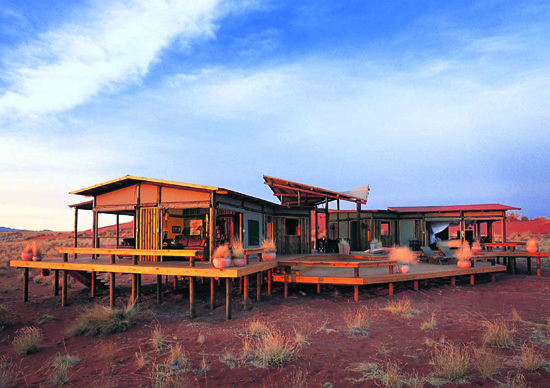 All camps at Wolwedans are designed to minimize environmental impact, exploring innovative building techniques and utilizing sustainable technologies. 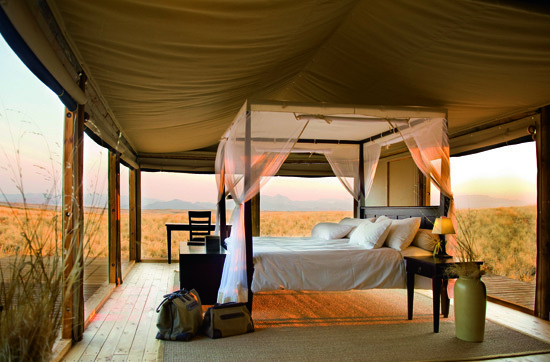 Wolwedans camps are situated in the heart of the NamibRand Nature Reserve, one of southern Africa’s largest private nature reserves. To them biodiversity is life. They operate in pristine natural environments, striving to safeguard the integrity of the Pro-Namib ecosystem as part of their global ecosphere and they ensure that its health and productivity is managed in an ecologically sustainable manner. 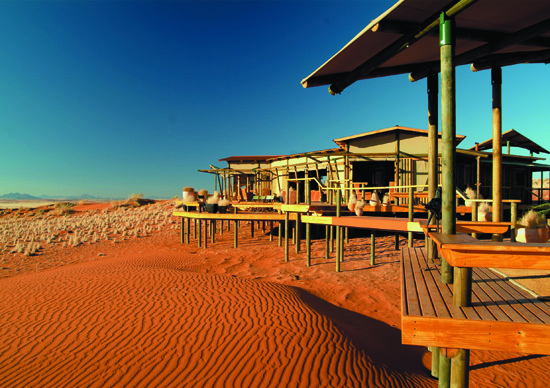 The main objective of NamibRand Nature Reserve is the conservation of their beautiful land on a self-sustainable basis. Each lodge or operation on the Reserve is limited to 20 beds each. This strict code of ethics ensures that this wilderness paradise accommodates only a limited number of guests at a time. They commit to a 1 bed to 1000 hectares of nature ratio. 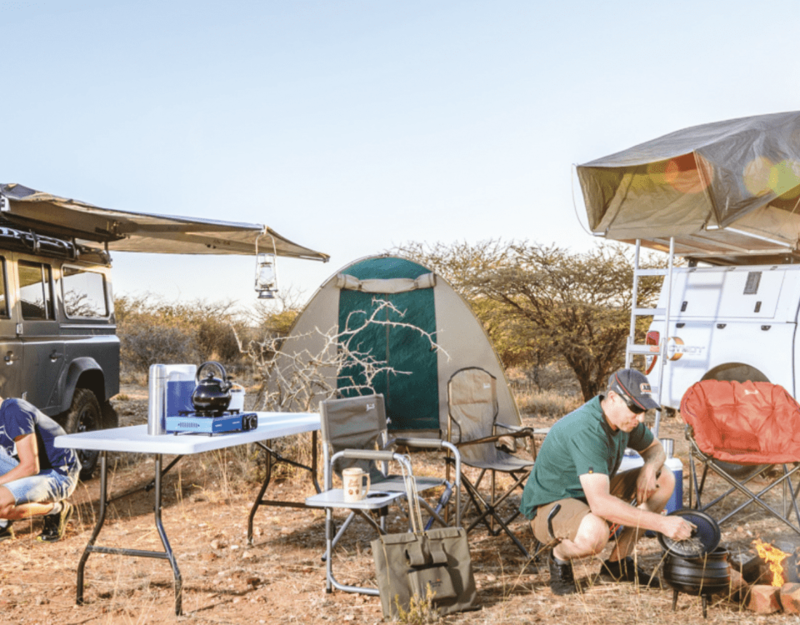 This means that as a guest at Wolwedans you have about two million square meters of wilderness to yourself… a refuge free of tour buses and overland trucks. This luxury of space makes the reserve the pristine destination it is today. They also have the development of Namibia and the wellbeing of its people at heart. At Wolwedans human resource development is a priority, as well as the sharing of economic opportunities and the encouragement of others to build a better future. The Wolwedans Foundation promotes this goal through offering vocational training via the Desert Academy (DA) and The Namibian Institute of Culinary Education (nice).